Restaurant365 is currently only available in English. 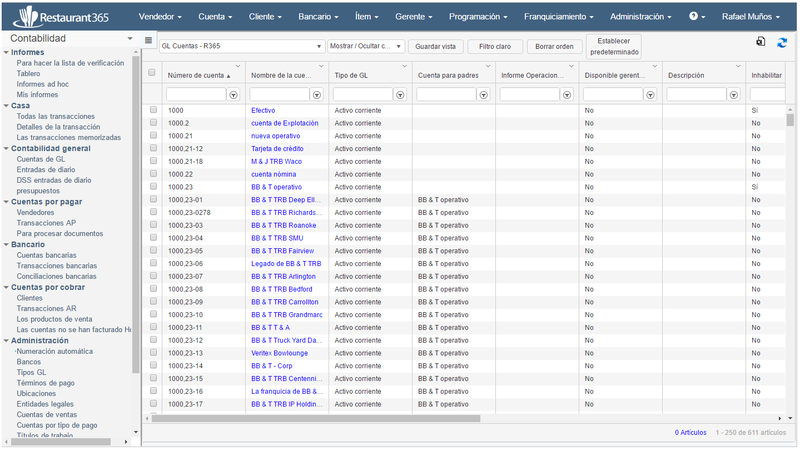 To use Restaurant365 in another language, users have the option of using Google Chrome to translate English to their preferred language. 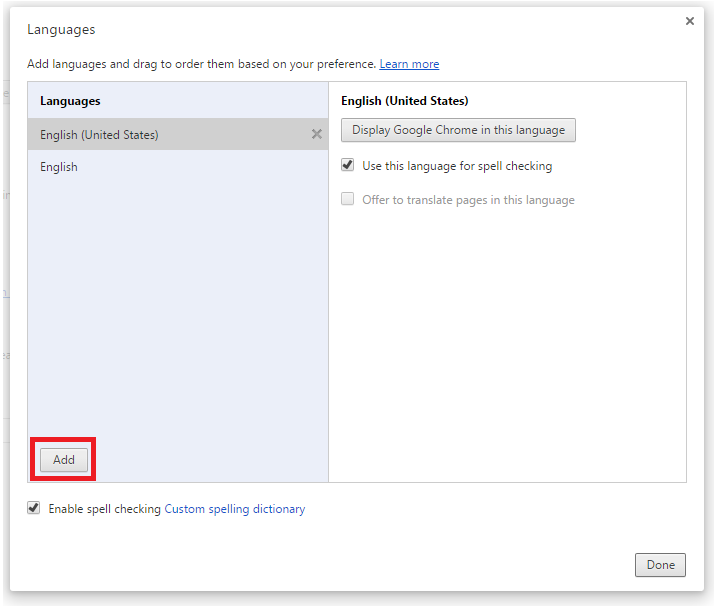 To change your Google Chrome Display Language please follow the steps outlined below, or follow the steps found on the Google Support - Change Chrome Language page. Google Chrome will attempt to translate any pages that have a default language that does not match your Internet Provider Region Settings. 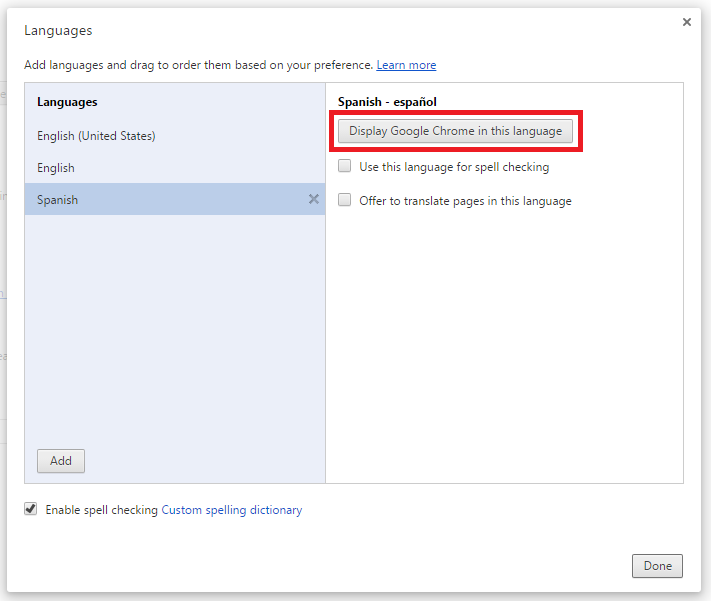 As a user, you have the option to manually tell Google Chrome to translate a page to a desired language. 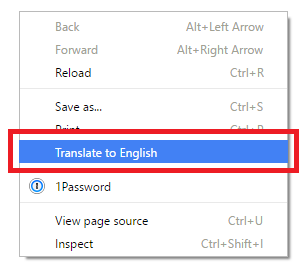 If you are in the United States and your Google Chrome browser has English as the default language, right click anywhere on the page and select 'Translate to English'. If you are outside of the United States and have a language other than English, Google Chrome should prompt to translate the page for you (as shown above). 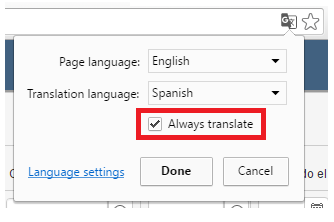 After clicking on Options, you can select your desired language, and if you want Google Chrome to always translate this page, check the 'Always Translate' box before clicking Done. Now this page will always translate to the selected language. To make any changes to the translate settings, click the on the Google Translate icon in the navigation bar to open the Translate Options again.